With the recent success of Marvel Comics’ Guardians of the Galaxy title (and much anticipation for the upcoming film version), lots of folks are suddenly becoming interested in the character of Rocket Raccoon — in fact, he’s considered to be the breakout star of the series, along with his friend Groot the tree-man. Well now, Marvel is finally revisiting the origins of Rocket Raccoon with a new full-color trade paperback due this August, Rocket Raccoon: Tales from Half-World. 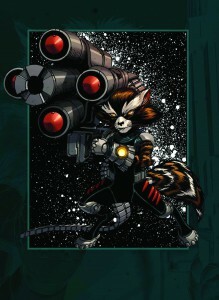 As written by Bill Mantlo and illustrated by Hellboy creator Mike Mignola (with a new cover by Steve McNiven), this collection brings together issues 1 – 4 of the original Rocket Raccoon series, highlighting his adventures (with his walrus pal and his otter girlfriend) as the guardian of the Keystone Quadrant. At one point, Bucky O’Hare even makes a guest appearance! Marvel has more on their web site, and Forbidden Planet. 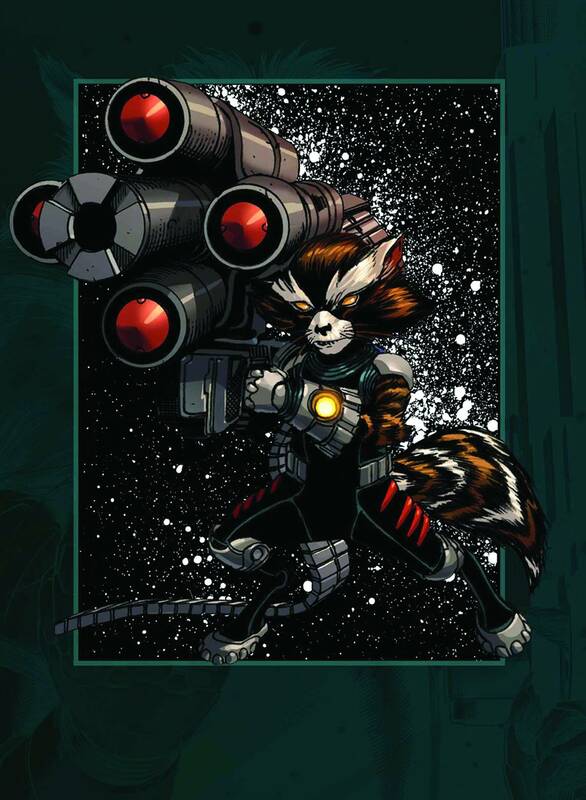 Also, the rocket-booted procyonid plays a big part in the new Nova: Origins Premiere Hardcover — also in full color, and also coming in August. Rocket Raccoon and Gamora from Guardians of the Galaxy teach young Sam Alexander the art of being a super-powered guardian of space and time! Check it out at Forbidden Planet. Bill Mantlo's family has been paying for the poor guy's round-the-clock medical care for the past 20 years, but I bet they won't see a penny off of this. They're reprinting those stories in another volume? They're fun old camp, but they're already reprinted in "Rocket Raccoon: Guardian of the Keystone Quadrant" and "Rocket Raccoon and Groot: The Complete Collection". Both of which have more stories and don't exactly break the bank.